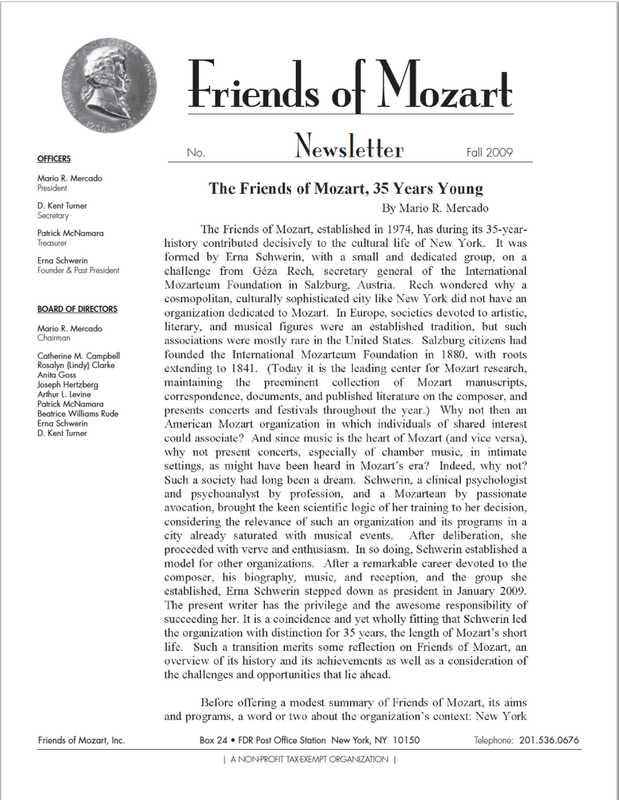 The Friends of Mozart newsletter, published semi-annually, presents a range of topics related to Mozart and his music, performance history and reception, legacy and the continuing and evolving appreciation of his achievement by contemporary audiences. 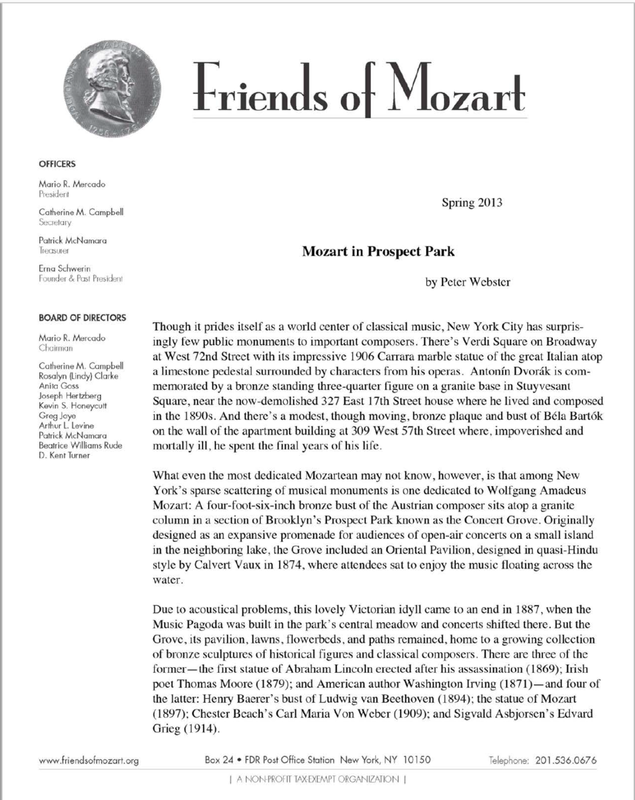 Musicians, musicologists, historians, and scholars from a range of disciplines have contributed essays to the Newsletter since the 1980's. 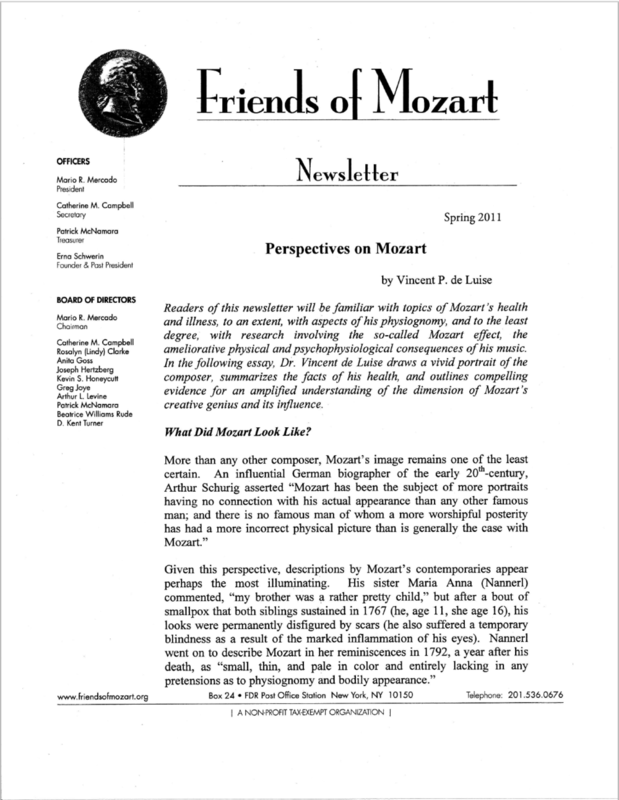 As a privilege of annual membership in Friends of Mozart, the Newsletter is sent in the fall and spring to members. 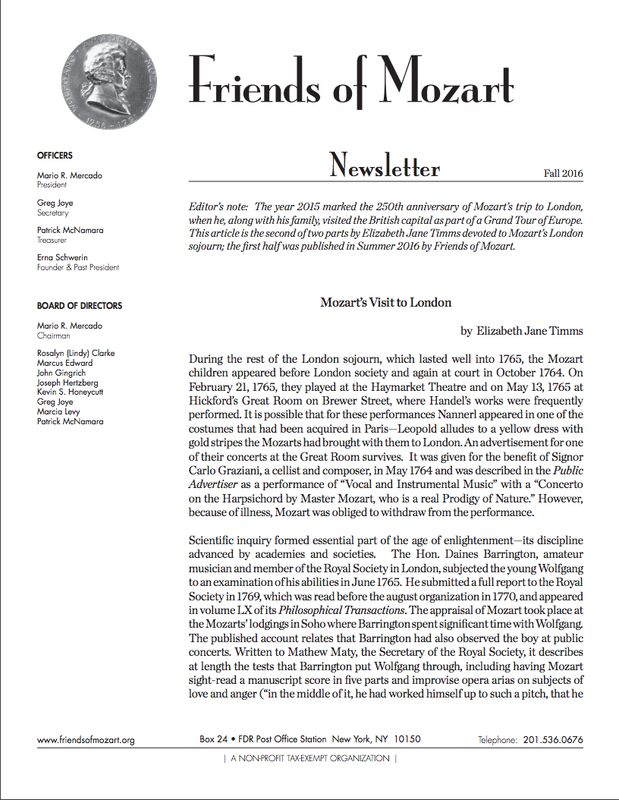 This current archive of recent Newsletter articles coincides with the launch of the Friends of Mozart website.